According to the Insurance Institute for Highway Safety, in 2016 alone, 3,986 people died in truck accidents. These numbers don’t account for the many more people who suffer serious and life-altering injuries after these accidents. Truck accidents can be far more serious than passenger vehicle accidents because of the sheer size of the vehicles involved. Trucks can weigh more than 20 times the average passenger vehicle and they can have high clearance beneath them, resulting in accidents in which passenger vehicles get pinned beneath the truck. These accidents can lead to serious injuries, like spinal cord injuries, traumatic brain injury, internal injuries, broken bones, amputations, and even death. If you or a loved one was hurt in a truck accident in Fort Lauderdale, Florida, you may be entitled to seek damages for your medical bills, lost wages, and pain and suffering. Truck companies and drivers are required to have large insurance policies to protect them and victims in the event of a crash. Some of these policies can be as high as $1 million. However, insurance companies may try to protect their bottom lines by underestimating the value of victims’ damages and losses. This is where it helps to have a qualified truck accident attorney in Fort Lauderdale, like Madalon Law on your side. Our firm can take the time to investigate the causes of your crash, estimate the value of your claim, and pursue damages from all stakeholders, including insurance companies, truck companies, and truck drivers. Hours of Service Laws: Federal law limits truck drivers to 11-hour shifts and requires them to take regular breaks. However, some truck drivers are pressured by their companies to work longer hours, to falsify logs, or to cut corners. Driving while fatigued has been found to be just as dangerous in some cases as driving while under the influence of drugs or alcohol. In the aftermath of a truck accident, you need a truck wreck attorney, like Madalon Law in Fort Lauderdale, Florida who can review the truck driver’s logs to see that these laws were followed. However, sometimes reviewing the logs alone isn’t sufficient. When drivers falsify logs, a truck wreck lawyer may need to look at shipping schedules or investigate other practices in the company to determine whether drivers were pulling longer shifts than permitted. Truck companies have a responsibility to keep their trucks properly maintained. Yet, there have been many reports in the news of private garbage trucks operating without proper working equipment. Other truck companies may cut corners, by replacing tires with used tires, or by skipping regular tune ups. In a passenger vehicle car, this is bad enough, but in a truck, the consequences could be deadly. A blown tire on a truck can lead to loss of control, and failed brakes can lead to serious accidents. Madalon Law in Fort Lauderdale, Florida is a truck wreck law firm that can review a truck’s maintenance schedule and identify any red flags. Weight Limits. Truck companies are required to abide by specific weight limits. When these limits are exceeded, trucks can tip, brakes can fail, and drivers can lose control of their vehicles more easily. More practically, a heavier truck takes longer to stop. If you were involved in a truck accident in which a truck driver failed to stop in time, Madalon Law are truck wreck lawyers in Fort Lauderdale, Florida who can investigate the causes of your truck accident. Commercial Driver’s License Requirements. Truck drivers are required to pass medical tests and have special skills to operate a truck. Truck companies also have a responsibility to vet their drivers and to check their driving record. Unfortunately, sometimes drivers fail to report changes in their health, or they start taking medications which can interfere with their ability to drive. If this happens, accidents can occur. Many more truck drivers are testing positive for opioid use. The opioid epidemic has not missed the truck industry and drivers could be held negligent if they are found to have drugs in their system after a crash. More Negligent Parties. In a personal injury claim, the negligent party pays the party who has suffered damages. In a passenger vehicle injury claim, usually there is only one negligent party, because there is usually only one other driver involved. 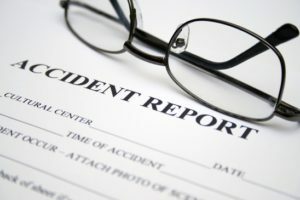 However, truck accident claims are unique, because there may be more negligent parties involved. Not only might the truck driver be responsible for a crash, but also the truck company that hired the driver might be responsible as well. If the truck was improperly loaded, the company that loaded the truck may also share some of the responsibility. And then there are insurance claims to be made, which can involve multiple parties, especially if different stakeholders are involved. Because of the complexity of truck accident law, it is wise to have a truck accident law firm on your side. Madalon Law can review your case and identify all stakeholders involved. These are just a few of the ways in which truck accidents differ from passenger vehicle accidents. Every claim is unique, however. If you or a loved one was hurt in a truck wreck, contact Madalon Law, a truck accident attorney in Fort Lauderdale, today. Our firm will take the time to compassionately listen to you and help you understand your rights. We can chart a road map forward. The trucking industry is big business. This industry made over $600 billion dollars last year alone. With so much money involved, safety should be paramount. Unfortunately, sometimes truck companies cut corners. When they do this, individuals can be seriously hurt or killed. Fighting a large truck company for compensation can sound like a daunting task, but you don’t have to do it alone. Madalon Law are truck wreck lawyers in Fort Lauderdale, Florida who can review your case, offer you compassionate guidance, and help you move forward after your injury. The truck companies may have teams of lawyers on their side. You need a qualified and caring lawyer on yours. Contact Madalon Law today for a free case review. We only get paid if you win. For more information on semi truck accident law in Fort Lauderdale, click here.